The Talika SOS Party Kit contains four face masks designed to prep skin for a fresh, party-ready glow, as well as calm and soothe the skin the morning after. The complexion will be brightened, smoothed and full of health. Replenish your complexion with a serum-infused sheet mask saturated with a host of beneficial ingredients to help combat redness, tightness and dry skin. 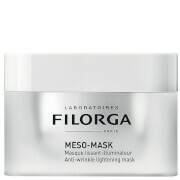 With a three-dimensional structure that enables it to retain and deliver a high concentration of active ingredients, the face mask clings comfortably to your face like a 'second skin'; infusing the complexion with hydrating and antioxidant components including Alpine Herbs, Sodium Hyaluronate and Hydrophilic Sugars to moisturise, soften and calm dry, uncomfortable skin. Expect a repaired and replenished, healthy-looking complexion. Refresh and revitalise tired, weary eyes with a compressed eye mask that targets and alleviates signs of fatigue to promote a brighter, smoother, hydrated eye contour. Taking inspiration from traditional Asian relaxation rituals, the soothing, ten-minute eye treatment helps to relax and decongest the delicate eye area, reducing the appearance of dark circles and puffiness to lend the eye contour an energised, well-rested look. Rich in antioxidants and soothing ingredients, the eye mask contains Japanese Camellia Petals and an anti-pollution plant-based film that smooths the eye area whilst preventing particles from adhering to skin. Instantly uplift and revitalise your eyes with an eye mask formulated with a host of nutrient-rich ingredients such as Musk Rose, Wheat Germ, Avocado and Shea Butter. The anti-ageing eye mask helps to smooth out fine lines and wrinkles, reduce dark circles and puffiness and replenish moisture to hydrate and transform the skin texture. 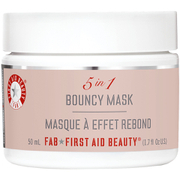 In just 15 minutes, the eye area is visibly soothed, refreshed and nourished for a wide-awake, younger-looking appearance. Discover the cutting edge of skincare with an innovative foaming charcoal mask that contains thousands of nourishing microbubbles. Transforming into an oxygenised foam when put into contact with skin, the formula draws inspiration from celebrated Korean skincare methods to offer effective detoxifying and hydrating properties. Enriched with Bamboo Charcoal to unclog blocked pores and banish impurities, the mask utilises a dose of infrared light to stimulate circulation and cell renewal, resurfacing the skin for a completely cleansed effect. Meanwhile, a probiotic extract sourced from Korean Rice Wine balances the skin tone while soothing damaged skin and replenishing vital moisture. The complexion is left clear, bright and glowing with health. 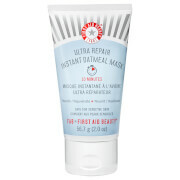 Hydrating Mask: Aqua (Water/Eau), Butylene Glycol, Glycerin, Dicaprylyl Carbonate, Bambusa Textilis Stem Extract, Citrus Grandis (Grapefruit) Seed Extract, Pinus Palustris Leaf Extract, Saccharide Isomerate, Polyacrylate-13, Polyisobutene, Caprylyl Glycol, Alcohol, Chamomilla Recutita (Matricaria) Flower Extract, Ethylhexylglycerin, Parfum (Fragrance), Phenoxyethanol, 1,2-Hexanediol, Polysorbate 20, Sorbitan Isostearate, Sodium Hyaluronate, Achillea Millefolium Extract, Arnica Montana Flower Extract, Artemisia Absinthium Extract, Gentiana Lutea Root Extract, Citric Acid, Sodium Citrate, Tocopherol, Disodium EDTA, Limonene, Linalool. Eye Decompress: Aqua (Water / Eau), Centaurea Cyanus Flower Water, Chamomilla Recutita (Matricaria) Flower Water, Propanediol, Phenoxyethanol, Caesalpinia Spinosa Fruit Extract, Chlorphenesin, Escin, PPG-26-Buteth-26, Parfum (Fragrance), Kappaphycus Alvarezii Extract, PEG-40 Hydrogenated Castor Oil, Camellia Japonica Flower Extract, Biosaccharide Gum-1, Sodium Hydroxide, CI 42090 (Blue 1). Therapy Patch: Paraffinum Liquidum (Mineral Oil), Carthamus Tinctorius (Safflower) Seed Oil, Butyrospermum Parkii (Shea) Butter, Persea Gratissima (Avocado) Oil, Rosa Canina Fruit Oil, Triticum Vulgare (Wheat) Germ Oil, Ceramide 3. Bubble Mask: Aqua (Water/Eau), Glycerin, Cocamidopropyl Betaine, Dipropylene Glycol, Disiloxane, Methyl Perfluorobutyl Ether, Methyl Perfluoroisobutyl Ether, Sodium Cocoyl Apple Amino Acids, Saccharomyces/Rice Ferment Filtrate, Oryza Sativa (Rice) Extract, Vitis Vinifera (Grape) Fruit Extract, Morus Alba Fruit Extract, Solanum Melongena (Eggplant) Fruit Extract, Castanea Crenata (Chestnut) Shell Extract, Camellia Sinensis Leaf Extract, Diospyros Kaki Fruit Extract, Hexylene Glycol, Hydroxyethylcellulose, Ethylhexylglycerin, Butylene Glycol, 1,2-Hexanediol, Ethyl Hexanediol, Phenoxyethanol, Disodium EDTA, Sodium Chloride, Parfum (Fragrance).